‘Sister Wives’: Meri Brown Won’t Let Dog Go – Security Pet or Leakage Concerns? Sister Wives star Meri Brown had her dog in her arms in quite a few scenes during the last episode and fans of the show took notice. Even as Meri hugged her daughter Mariah Brown goodbye, that dog stayed in her arms on the most recent TLC episode. It could be that the fur baby was a security blanket for her or it might have been a pee-preventing measure. So, it seems to viewers that Meri Brown cradled that dog in her arm as if it were a baby. 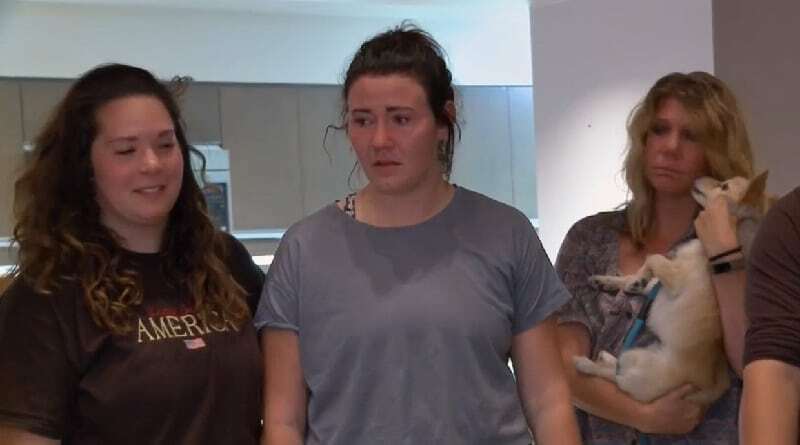 The clip showed the first wife of Kody Brown looking very out of place as she stood in the background cuddling up to the dog. She even kissed the pup’s head a few times as if it were an infant. It goes without saying that Meri Brown loves her dog. But it was odd how she held on to it the entire time she was around the family. As you can see in one of the pictures below, she seemed to stay behind the scenes. The first wife of the Brown clan didn’t appear to socialize with the family as the other Sister Wives spouses did. Dog Attached to Meri at the Hip? 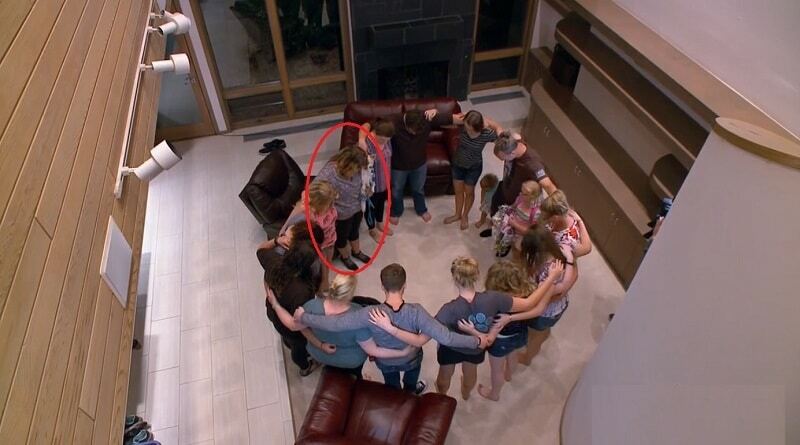 That dog didn’t leave Meri’s arm, even during the family circle of prayer. Fans joked online about the dog in Meri Brown’s arms. One fan asked if the pup could walk, as Meri Brown never seems to put it down. When the Sister Wives brood first arrived in Flagstaff, the family’s first wife was spotted with the pooch on a leash. So the answer to that question is yes, the dog can walk. Sister Wives: Dog Her Security Blanket? It was obvious to see that Meri felt out of place. So, maybe the dog gave her a sense of security. She’s also dealing with only daughter Mariah moving away to Chicago with her fiancee. It seems she has a lot on her plate this season. The Sister Wives mom of one might not even realize that she’s babying the dog. She was just hit with the big move plus empty nest syndrome at once. Also, she loves the pooch but in fact, it belongs to Mariah and Audrey Kriss. That means when Mariah leaves, so does the dog. Both Mosby and Koda are Mariah’s. While Meri Brown is sure to miss the pup, there’s probably another reason she held onto the animal during the show. If you remember back to the grand opening of Lizzie’s Heritage Inn, she did the same thing with the fur baby. Kody reminded Meri something about her furry friend. The pooch might pee all over the carpet if she put it down. 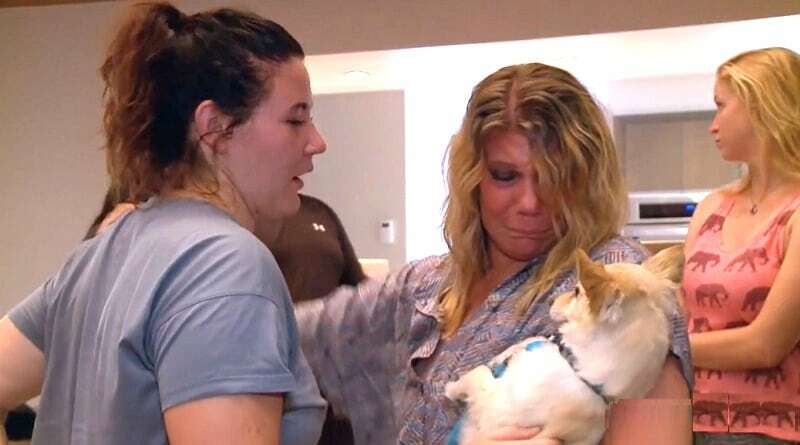 So, maybe this Sister Wives co-star was only making sure this canine didn’t sprinkle the carpet in Robyn’s new home. 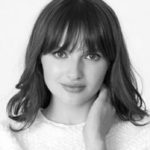 Sadness Passed – First Wife Fine Now? While Meri Brown appeared to have a tough time of things during Sunday’s Sister Wives episode, it seems her tears didn’t last. Kody Brown’s first wife had a dark time but it didn’t last. A lot of time passed since when the episode filmed. Today, she seems to enjoy life to its fullest. Her posts these days show her smiling once again. Meri just returned from a cruise with her Lularoe co-workers. The pictures she posted during her vacation show a much happier-looking woman than the Meri Brown in Sunday’s TLC episode. Come back to Soap Dirt for the latest scoop and all the news on Sister Wives. ‘Sister Wives’: Meri Brown Posts Cryptic Message For Kody Brown? 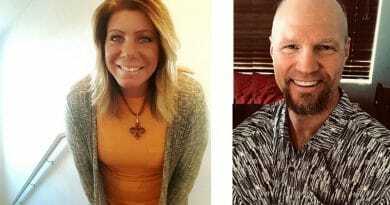 ‘Sister Wives’: Meri Brown, Two Men, and Bottle of Rum – In Tongue-Wagging Pic? ‘Sister Wives’: Christine Brown Vying For Meri Brown’s Place?